We are Vietnamama. 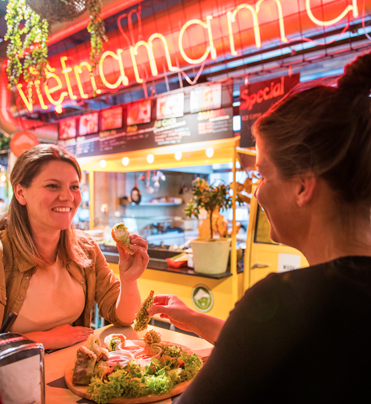 We bake, cook and serve the best Vietnamese streetfood in Eindhoven and surroundgeluid areas. Every dish served from under our warm red neonlights is made following traditional family recipes. 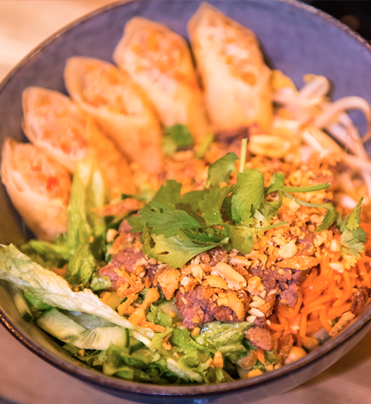 Join us for a warm cup op pho or share some typical Vietnamese flavours. Like to party? It’s possible you’ve met some of our family-members on several dutch and Belgian festivals. 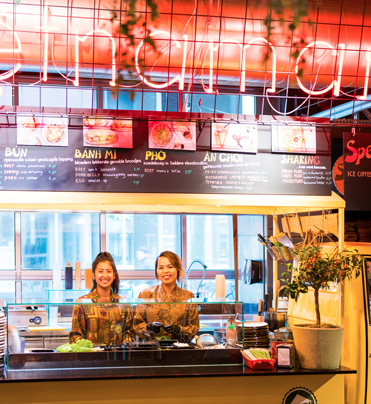 We’d love to give you a warm Vietnamese welcome in the down town gourmet market.